Imagine if you could ask the Batman a few questions. What could you learn from him about how to run your business? And how is the Batman like an entrepreneur? 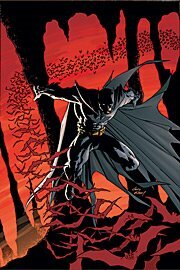 GT: Why the Bat theme? BM: I want to frighten my enemies. And bats frightened me as a child. GT: Why do you want to frighten people? BM: Because it gives me an edge. I am not as powerful as some of my enemies. I am not as powerful as most of my colleagues. So I need an edge. I chose to be frightening. BM: Not being ready for my enemies. GT: Do you feel intimidated by your more powerful colleagues? BM: Yes – but I never let them know. GT: How many hours do you work a week? BM: How many hours are there in a week? BM: The vision to accomplish my goals. GT: You appear to be a loner. Why do you work with the Justice League? BM: Because associating with powerful people makes you more powerful.